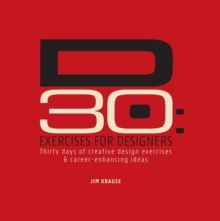 Visual Design speaks design, through design, to designers, presenting 95 core design principles with concise text and a touch of visual wit. 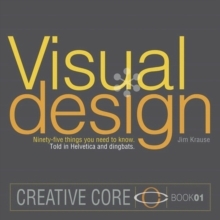 Author of the bestselling Index series on design basics, Jim Krause uses a combination of Helvetica and Dingbats to teach a wide range of design topics (both conceptually and compositionally related) in a one-topic-per-spread format. 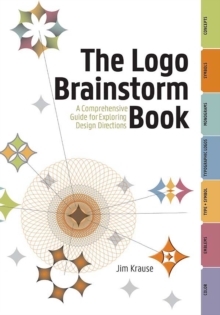 Using humor, practical tips, and inspiring visual examples, Krause makes it clear how each of the 95 axioms of effective design are relevant and applicable across all forms of visuals: print, Web, and fine arts. 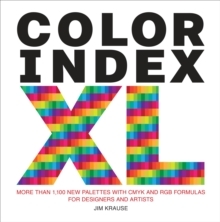 In this book, you'll learn how to:* Direct the eye through your designs using size relationships, color, visual pathways, and typographic hints* Design effective compositions through grids, frames, outlines, dynamic spacing, symmetry, asymmetry, shading, patterns, and textures* Fool the eye with shadows, depth, op-art, and visual subtraction* Understand how color works and how to use it effectively* See and use type by understanding type rules as well as when and how to break themVisual Design is the first title in the brand new New Riders Creative Core series, which aims to provide instruction on the fundamental concepts and techniques that all designers must master to become skilled professionals.